The Gatsby is a lovely community of historic condominium homes with lots of 1930s Old World charm and architectural character. Love your home location on Dixie Avenue close to Historic Inman Park. Walk to the Krog Street Market, Historic Inman Park, and the Atlanta Beltline. Enjoy living near the historic birth home of Martin Luther King, Jr., the beautiful grounds of the Carter Presidential Library and Museum, and the historic Oakland Cemetery. 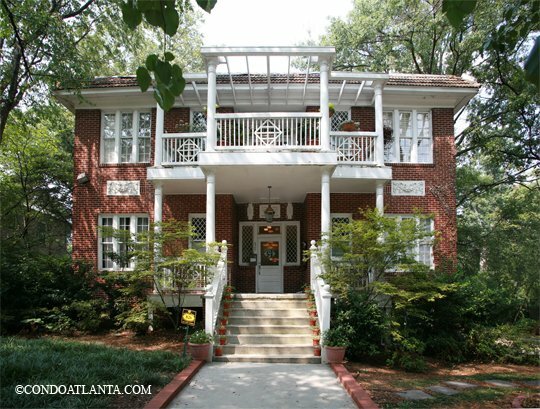 The Gatsby is situated central to Inman Park, the Historic Old Fourth Ward O4W, Sweet Auburn, Little Five Points L5P, Cabbagetown, and Reynoldstown. Commuters will appreciate access to travel routes along Dekalb AVenue, Edgewood Avenue, and Memorial Drive.